This is a game that can be used to introduce subtraction to young toddlers during Ramadan insha'Allaah. 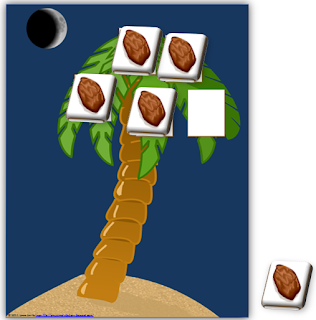 The game is called "Dates Fall Down" and is simple to play alhamdulillaah. Put the numbers 1-5, into a box. Invite the child to close his/her eyes and take a number from the box. 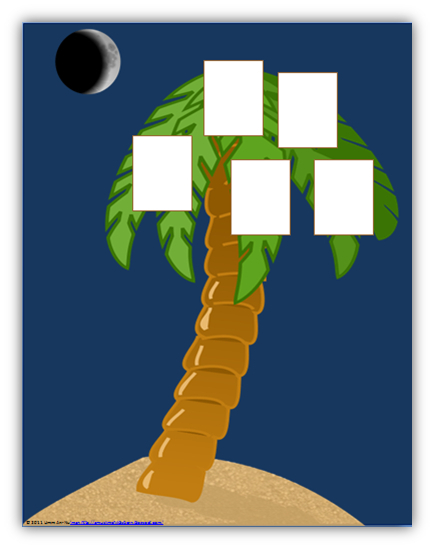 This first number they select will be the number of dates they put into the date palm tree. 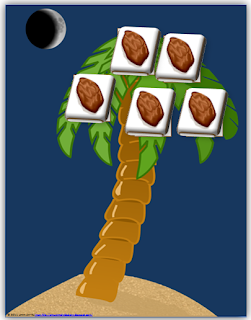 Ask the child how many dates are in the palm tree. 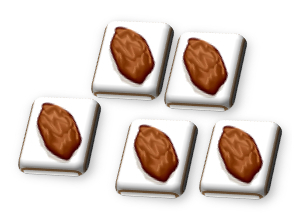 You may also wish to encourage the child to count the dates as he/she puts them into the tree. Invite the child to again close his/her eyes and select another number from the box. This is the number that the child will take out of the tree (subtract). Tell the child, "At first there were _____ dates in the tree. You took ______ out/off of the tree. How many dates are left in the tree now?" Invite the child to count to see how many dates are left in the tree. So the child will remove one date from the tree and set it aside. 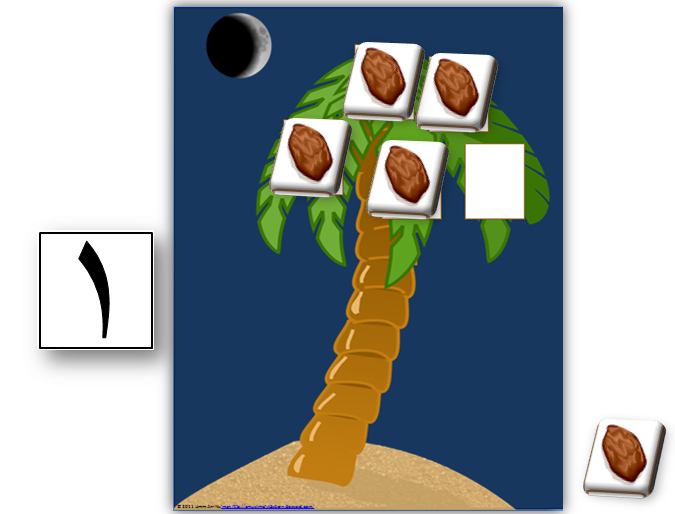 The child is then invited to count the remaining dates in the tree insha'Allaah. Quietly and gently, without a sound. Let us count, you and me! Jazakillaahu khayr dear sis Umm Maimoonah and hmm....I hadn't thought about the children wanting to eat dates afterward *smile*. Perhaps having dates on hand is a good idea. sœur, ce serait plus facile si j'ai posté les directions en français InchaAllah? Je connais une soeur qui peut être capable de traduire cela pour vous InchaAllah. I found this a tad late sis but mashaAllah sister what a wonderful idea, you're very talented mashaAllah. Jazakillahu khair for sharing!